Also served as chair, vice chair of LEAP. 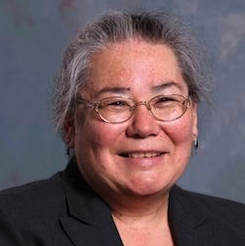 Margaret Ashida of Latham, N.Y., the first executive director of STEMx, a nationwide network of state STEM (science, technology, engineering, math) organizations, died on Oct. 5 in a diving accident while vacationing in Indonesia. She was 58. Born on June 15, 1956 in Nebraska, she was the daughter of the late Dr. Sachio Ashida, Ph.D. and Dr. Margaret Elenore Elliott Ashida, Ph.D. She earned a bachelor’s degree from the University of Rochester and an MBA from the Stanford Graduate School of Business. Before becoming national STEMx director for the Battelle Memorial Institute last year, Ashida served as director of the Empire State STEM Learning Network at the State University of New York. In that role, she provided key input for the early development of STEMx, helping to tackle challenges and forge consensus among member states. Prior to that, Ashida was the Empire State STEM Learning Network director-in-residence for Rensselaer Polytechnic Institute (RPI) and an executive at IBM in Silicon Valley, where her experience included worldwide leadership in diversity and workforce management, university relations and recruiting, collaborative innovation, and operations in marketing and finance. “The education community has lost a leading advocate,” said Aimee Kennedy, Battelle’s vice president for education, STEM learning and philanthropy. “Her work includes an impressive list of leadership positions in organizations across the country, and credentials from elite universities. Her industry expertise and commitment to excellent STEM education opportunities for all students will be sorely missed. “As anyone who had the pleasure of working alongside Margaret knows, she was a tireless advocate for equity and access, and a persistent, diligent team member. Our team, along with countless others, will miss her knowledge and skill — but what we will miss most is her kindness and cheerful smile. “Margaret was an integral part of LEAP and a brilliant and committed leader. Her passing is a significant loss to so many of us across the nation and the world. Margaret was a previous chair of the LEAP Board and current vice chair of the board. Her engagement with LEAP spans over 10 years, beginning with her participation in the LEAP Leadership Development Program and later extending to her service on the Board of Directors. “A self-described ‘militant Asian female,’ Margaret was a passionate advocate for leadership, Asian Americans, women, technology, diversity and STEM education. She was role model, trailblazer, visionary, philanthropist, daughter, sister, aunt, and friend. She is missed already. “We will do our best to make sure her passion for and legacy to LEAP lives on. Donations can be sent to: Margaret E. Ashida Undergraduate Scholarship Fund, University of Rochester, 590 Mount Hope Ave., Rochester, NY 14620. A memorial service will be held, but the date and location are still being determined. Once the information is available, it will be shared via the online memorial page. Ashida is survived by her sister Janet Yoshie Ashida Johnson (Don); nephew Alan Genji Ashida Johnson; U.S. aunts Jennie Bridge (Steve) and Stephanie Keyes; Japanese uncle Takeo Ashida (Michiyo) and aunts Sadako Kozuki, Yasuko Ashida, Yoshiko Itoh and Akiko Ashida; extended family and numerous friends and colleagues.